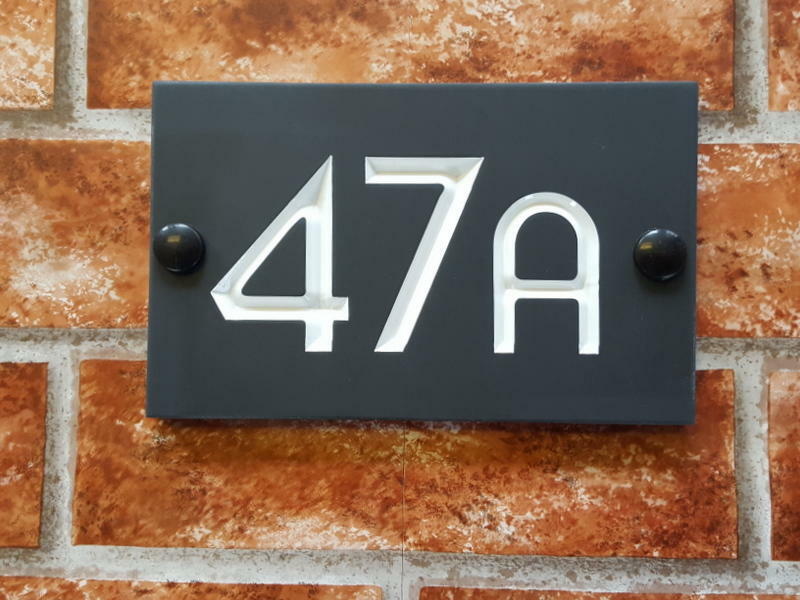 Grey, Green, Black slate signs - Whats the difference? 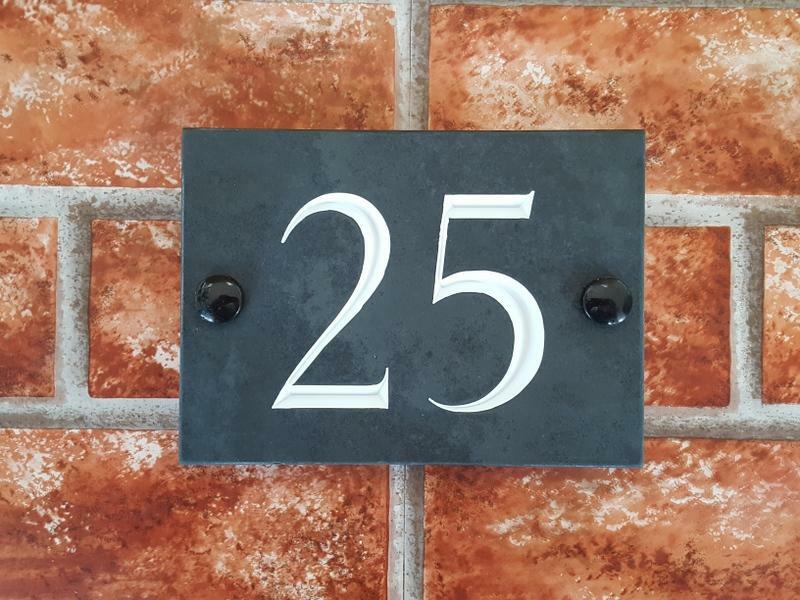 We only offer our slate plaques made out of 'black slate' - this type of slate is actually a predominantly dark charcoal grey and has natural random grains and striations of lighter and darker greys in each slab. The slabs are cut up to size and each individual piece of slate will give a slightly different grey appearance. Some pieces will have more darker graining and some will have lighter grains. This makes each individual slate plaque look light or darker compared with each other even though they came from the same original slab. 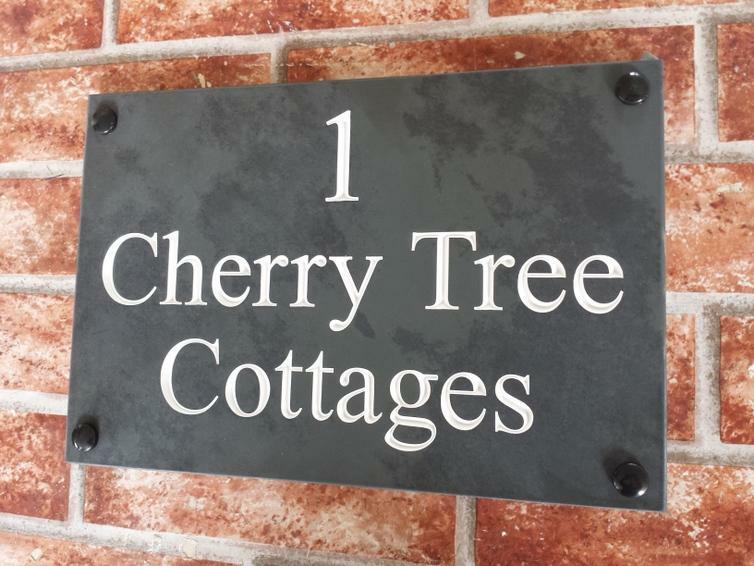 We only make signs from black slate as we think it gives the best contrast for the colour inlays. 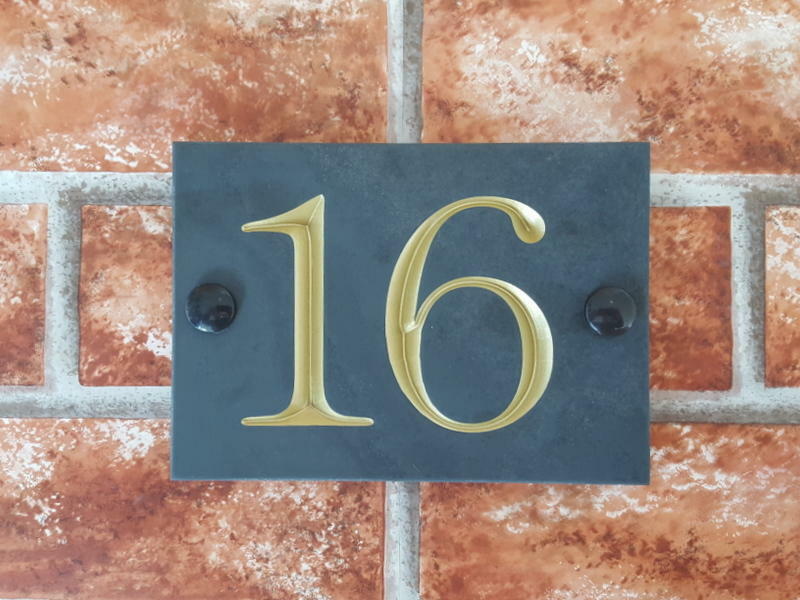 We have tried out green slate, blue slate and a light grey slate but decided the black variety looks nicest and gives better contrast for reading the house number or name. We buy our slate in large pallet loads to get it at the best price and simply can't keep other colours of slate due to the cost of stock and storing them. Some customers ask us for the lighter coloured slate or plain slate but we can't select the area out of a polished slab as once a slab is polished, the face is covered with a dark protective film so they don't get scratched whilst being engraved and handled. Therefore we can't determine whether it is light, dark, heavily grained or more plain. Some slate plaques will also have small particles of pyrite (fools gold) or even silhouettes of leaves or invertebrates which where deposited in the sediment whilst the slate was being formed in the riverbed millions of years ago. This is quite natural and iswhat gives slate signs their individuality and charm. Larger signs have more graining and inclusions compared with smaller cut signs. Here is a typical image of a 500mm by 300mm slate plaque which shows the graining.